Starting tomorrow, August 7th and until September 23rd, every EdFramed strip will be republished on instagram and facebook in English, Basque and Spanish. Now that EdFramed various instagram and facebook accounts have been merged into a single account and thanks to the multiple pictures per post that wasn't available when we started publishing EdFramed on instagram, every language will be available to read in the same page. We hope you like it better this way! 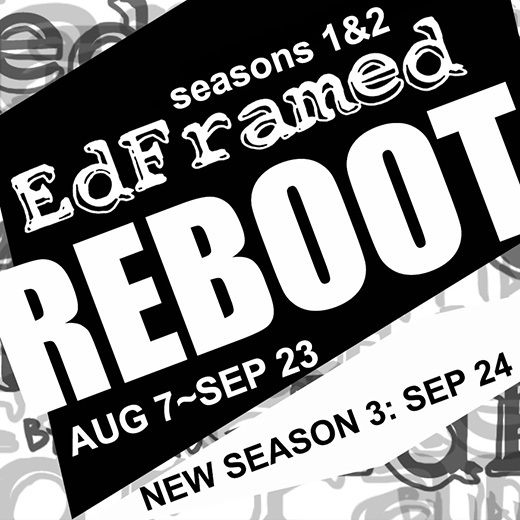 When the reboot finishes on September 23rd it will immediately continue with the 3rd season. Some of the posts will include extra bonus content too, so stay tuned!